This is my third time staying here. 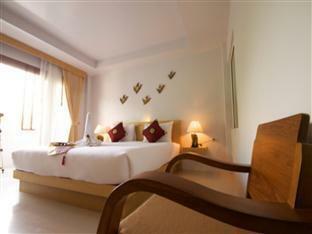 Because of value for money, clean room and super nice and friendly staff. It’s located right smack on a street in the Centre of Lamai where you can get anything you want at your convenience. Such as food, cafe, shops and massage palours. Great location, friendly staff. Beach is walking distance like 2-3mins, lots of food options along Main Street. Lots of massage parlor along the street too. Great value for money. Extended my stay two times. The hotel is just a few years old, so the rooms and facilities are fresh. My room was 3rd floor sea side with balcony, offering partial sea views. 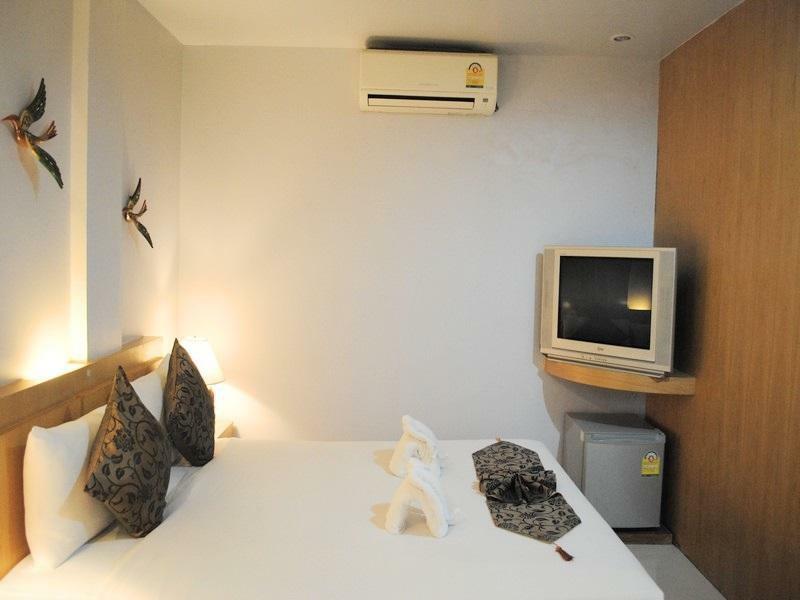 Efficient air conditioning, shower hot water heaters, comfy bed, sufficient storage, in-room safe, and cable TV. Excellent convenient location and no noise issues. It checked all the boxes for me, considering the very reasonable cost. I would prefer luxury linens & towels, more space, full sea views, 3-ply toilet paper... but one must adjust expectations when paying under $40 USD per night during peak season. The owner and manager works hard to fulfill any request. The cleaning staff is friendly, trustworthy, and effective. I stayed 10 nights and was completely satisfied. A simple and clean stay near beach. Great location, close enough to everything that nothing is more than a 5 minute walk. Clean rooms, modern, with a tv, safe and nice bed. To top it off the staff are really friendly, the owner is lovely and so helpful, pool could be better but hey, you got the beach a 2 minute walk away. Great little place! Basic hotel but you get what you pay for! The room was nice and spacious. Location is a little out the centre but still walking distance. Everything was falling a part a little but as i said, did the job and was comfortable enough, Wifi doesn't work on third floor. Lovely little hotel! 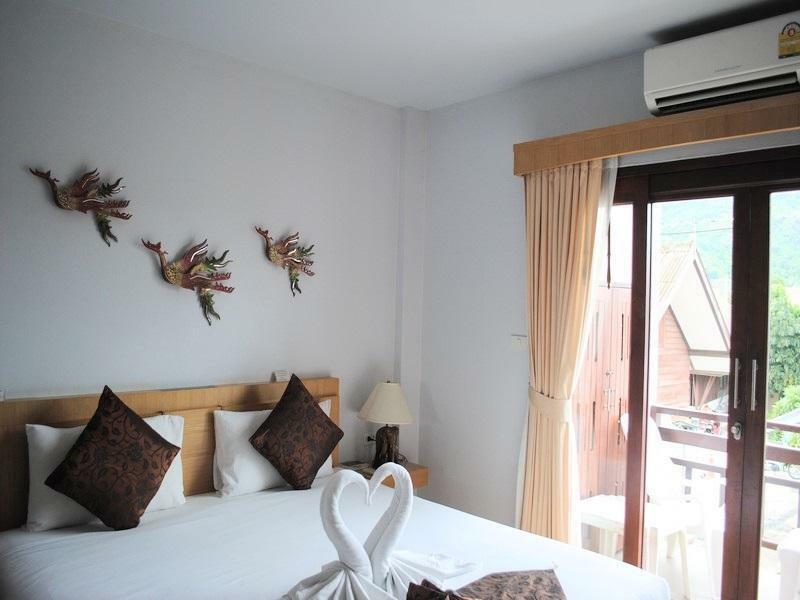 The room was very clean and spacious, good facilities, right next to the beach and good wifi. We ended up staying an extra night because we were so pleased! We also gave them some of our laundry and it came back perfect. Staff were lovely, especially the man on the front desk. Manager incredibly helpful and hardworking. He runs the whole hotel - front desk, carries luggage, organised taxis and helps with scooters. Felt very welcome and looked after. Great location! Excellent stay - value for money. Doesn't have the facilities like a resort (as can be expected) but for what you pay and location it was brilliant. Do try "Eating Time" the restuarant two shops down -best food. Me and my friend Kathi were staying at Amarina Hotel and there is nothing to complain about. The kind staff helped us out with any problem or question we had! In addition to that it's very close to the beach! I've stayed here probably 4 or 5 times, this time just an over mighter as I came on very short notice to Samui (3 hours from decision to plane) & just needed something until my villa was ready the following day. Staff always accomodating, check in with minimal fuss, straight to room and I could relax. Walking distance to everything, beach is half a minute down the soi beside this place & heaps of great eats, spas, bars & whatever else you could want within a short stroll. Love eating at a little place directly across the street called Dacy's Garden lovely lady Phueng runs it & is the BEST Thai cook ever !! close to everything but far enough away from all the grubby beer bars at the other end of Lamai Beach & the Sunday walking street market is a minute down the street & well worth it if your visit covers a Sunday. Location is good. 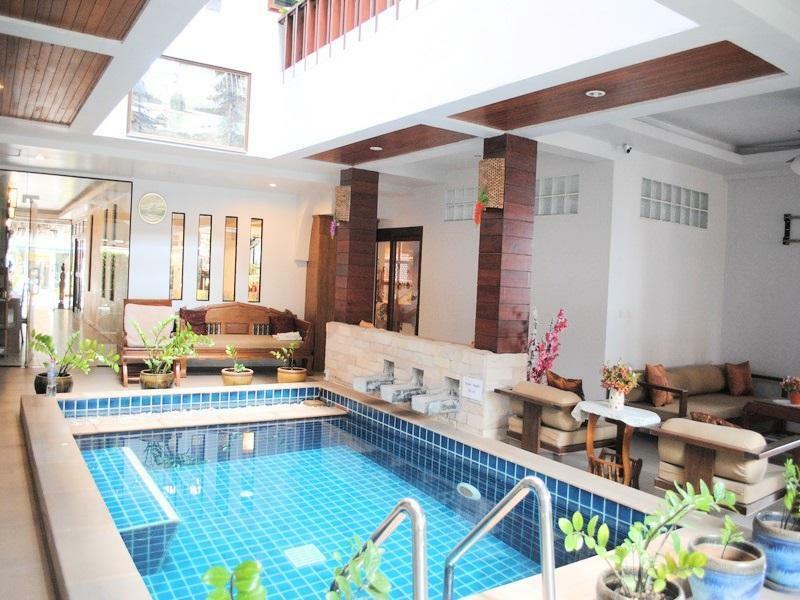 Near to night market and amenities. I got the room right in front of the pool. The room was really damp. When they cleaned the room, it felt like they didn't change the bed sheets. The pillows and bed smells like dirty laundry. Staff didn't speak much English and Thai. Shower drainage was bad. Close to everything, really quiet, friendly service staff! Very good internet very bad was the only bad point ',,,,!! Location couldn't be better, a minute from the beach and on the Main Street but still quiet in the evenings. We booked a room with a balcony and the room was huge.